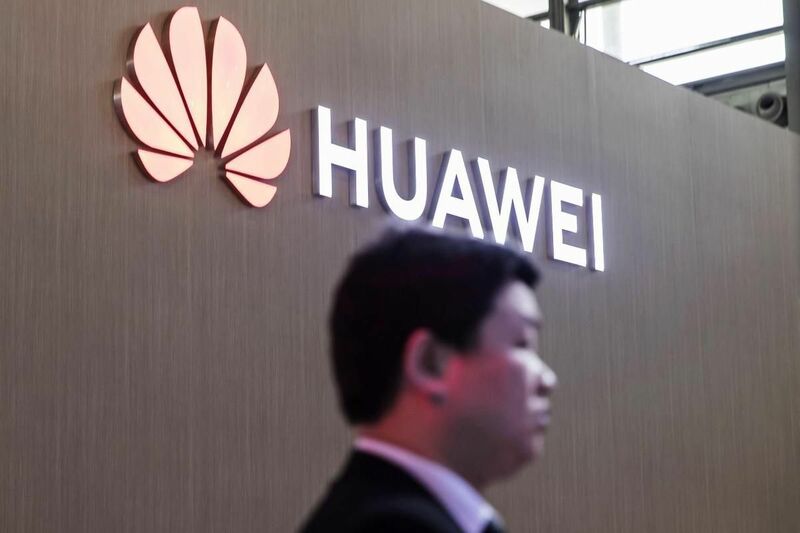 LONDON—Fresh from overtaking Apple Inc. to become the world’s second-largest smartphone maker in August, Huawei Technologies Co. unveiled a new flagship device aimed at helping to clinch the top spot. The Mate 20 Pro, revealed at an event in London Tuesday as a rival to the iPhone XS Max and Samsung Technology Co.’s Galaxy Note 9, includes three rear-facing cameras, facial recognition security and an artificial intelligence engine that can identify objects and people in real time. The Mate 20 Pro includes a number of features drawn from Apple’s iPhone playbook, most notably the inclusion of an advanced facial-recognition security system that builds a 3D model of a user’s face in order to authenticate them without the need for passwords or fingerprints. But the phone also features advances not yet seen in flagship products from rivals: While Apple popularized the use of two rear-facing camera lenses, Huawei’s new model has three, each co-developed by Leica. It also includes a fingerprint sensor behind the display itself, rather than underneath or tucked around the back — something Samsung has tried to innovate into its flagship smartphones, but has so far been absent from commercially available products. The Mate 20 Pro uses processors designed by Huawei, rather than popular chips produced by Qualcomm Inc. The new phone is able to identify objects in video a user captures on the device. Previously this was limited to still photographs only. AI is becoming a key component of Huawei’s overall business strategy. Last week, it unveiled its latest Ascend series of chips, machine-learning capable workhorses that the company says can go toe-to-toe with designs from Qualcomm and Nvidia Corp. It’s also introducing cloud-computing services and dedicated data centres for autonomous vehicles that will run off those chips, delving deeper into territory staked out by Amazon.com Inc. and Microsoft Corp.
Thomas Husson, an analyst at Forrester, said Huawei’s hardware prowess is “impressive,” but its branding is holding it back from becoming the global industry leader. “If Huawei manages to reinforce its brand personality, I think the Chinese company can continue to increase its market share, particularly over here in Europe, and particularly to the detriment of Samsung,” he said. The company is all but invisible to consumers in the U.S., where less than 1 per cent of its revenue is generated. Political headwinds related to Chinese manufacturers and national security haven’t helped, and neither did Verizon Communications Inc. and AT&T Inc.’s January decision to stop selling its devices.